Join Jay Soloff LIVE at The MoneyShow Las Vegas! 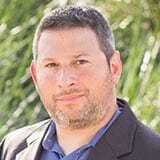 Jay Soloff, who is presenting at MoneyShow Orlando Feb. 7-8, describes a no-cost collar strategy and provides a recent example. Collars can also be cheap ways to hedge a long stock position when the stock owner is more concerned about downside losses than upside gains. It’s a popular strategy for individual stock hedging. You’ll often see zero-cost collars trade, where the proceeds from the call sale are entirely used to purchase put protection. And in fact, a massive zero-cost collar recently traded in General Electric (GE). 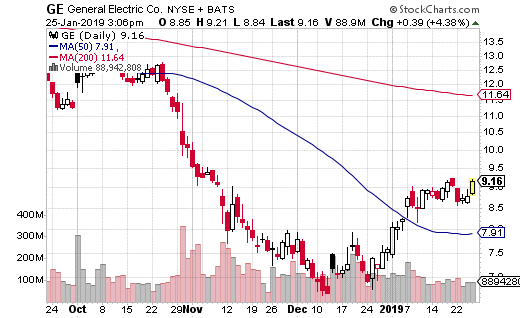 With GE at $8.80 per share, the collar trader sold the March 8, $9 call for 50¢ and purchased the 8.5 put for 50¢. The premiums cancel each other out, making this a zero-cost trade. Because the stock price is between the short call and the long put, it seems highly likely that it is collar. The collar caps the stock gains at $9, so the long GE position can only make 20¢ before the shares get called away. On the other hand, the collar protects the downside of GE below $8.50, so the stock can only lose 30¢. Here’s the thing—the collar was traded 123,000 times, so this is theoretically protecting more than 12 million shares of GE. Of course, we don’t know for sure that this is a collar used vs. long GE shares, but it’s hard to imagine otherwise. The trader could be protecting the downside of GE for a month or so post earnings, which are soon to be announced. Or, it could be a way to protect the shares through the ex-dividend date at the end of the February. If you own GE, this is a very smart method of protecting your position if you are concerned about the downside. What’s more, you can use a similar zero-cost collar strategy in just about any stock that has active options. Jay Soloff: New options trading trends. Recorded: TradersExpo Las Vegas, Nov. 13, 2018. Jay Soloff: 3 simple steps you can take right now to trade volatility like a pro. Jay Soloff: Successful Options Trading. Jay Soloff’s Interview: How I Trade Volatility. Recorded: TradersExpo Chicago, July 24, 2018.